Speedy 5G networks may be on the horizon, but consumer demand for wireless broadband is so intense that mobile companies like AT&T and Verizon need alternatives now — even if it means sharing airwaves with each other and with rival tech firms like Google. The big picture: 5G networks are far from being fully deployed. While we're waiting, the tech, telecom and equipment industries have put aside (some of) their competitive differences to ensure the FCC approves a spectrum-sharing plan that will open up military airwaves for commercial use across the country. They want to use a wide swath of prime airwaves known as Citizens Broadband Radio Service (CBRS) that are controlled by the Navy. As soon as a final dispute is resolved, premium frequencies will be available to companies, as long as the Navy still gets first dibs. How it works: For example, Verizon could use CBRS frequencies to let you stream movies on your smartphone. If Navy radar systems need to use a channel, software run by Google, Sony or Charter-backed Federated Wireless will shift that frequency to the Navy and move you to another channel to continue streaming. Other parts of the airwaves will be shared by others with different levels of priority. The service is also a new way to improve wireless service indoors, where 80% of wireless broadband use happens. This will be crucial to expanding coverage of 5G networks, since airwaves capable of gigabit-speed service can't travel through walls. The NFL wants to use it to deploy mini wireless networks in every NFL stadium to let coaches communicate with players during televised games. Boingo is piloting a private wireless network at Dallas Love Field Airport. "We think it’s the beginning of 5G, and so we’re quite excited about it," Boingo CEO David Hagan said on its last earnings call. Google teamed up with Nascar to build wireless broadband networks connecting racecars to the racetrack facilities. 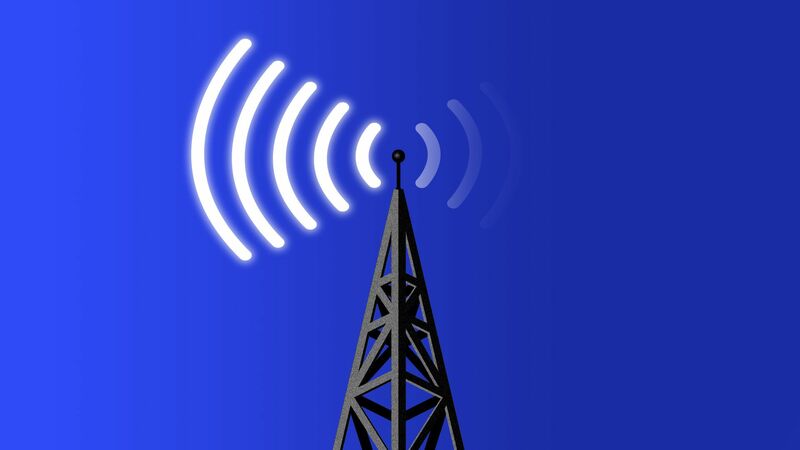 CBRS is seen as a key stepping stone to 5G, said Dave Wright, president of the CBRS Alliance, a consortium of companies pushing to use the airwaves. The new spectrum-sharing system allows carriers to densify their 4G networks, which is a logical precursor to adding more antennas and small cells for 5G. A wide range of companies have an interest in these airwaves. Cable companies like Comcast and Charter are trying to add wireless broadband and expanded Wi-Fi offerings to their internet and pay-TV bundles, and wireless carriers want to boost capacity to accommodate increasing traffic. Rural towns and rural wireless companies want to use the airwaves to build their own networks to reach unserved areas. Industrial players like GE and Union Pacific want to use it for factory networks and monitoring ships arriving in ports. Hospitals want to use it to provide telehealth services. The sticking point is how the spectrum will be divvied up. The current framework would auction off priority access spectrum in small chunks, by census tract. Large wireless providers want the FCC to make those license areas larger, arguing it's a more efficient use of the spectrum, will reduce interference risk and be easier for the FCC to auction. Others — including rural wireless companies, industrial players, and Google — say enlarging the license areas would make them too expensive for smaller firms to buy. “Winning the race to 5G does not mean we need to let the most powerful companies in the mobile wireless industry define the rules of the road," said Claude Aiken, who represents small, mostly rural wireless carriers, in an op-ed. FCC Commissioner Michael O'Rielly, who has been managing the process, has submitted a recommendation to agency Chairman Ajit Pai to resolve the dispute, with a decision expected by the end of the year. What's next: The FCC recently gave the green light to start initial CBRS deployment in part of airwaves, as soon as equipment lab testing is complete. Go deeper: Bloomberg examines Google's involvement in the CBRS effort.